You value your wines, just as a lioness loves her cubs. Your liquid babies need the best place to rest, where they can age properly, and be protected from damage. You can’t just shove them into a cupboard in your kitchen or in an average cabinet. You need to have racks that are not only durable and functional, but also stylish and aesthetically elegant. The most popular types of displays today are those made from steel. Vintage View Wall Series is a collection of metal racks that are perfect for contemporary design wine cellars. 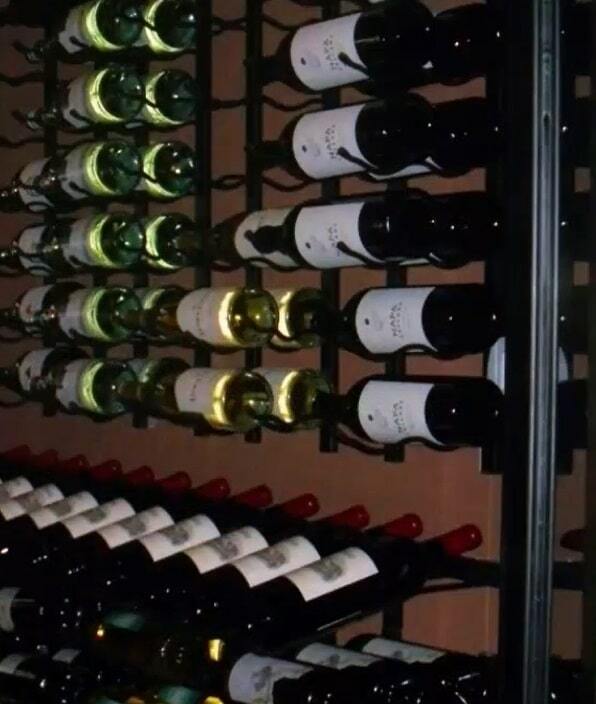 Metal racks are used to create the most stylish contemporary wine cellars in Chicago! Some people are quick to decide where to keep their wines. 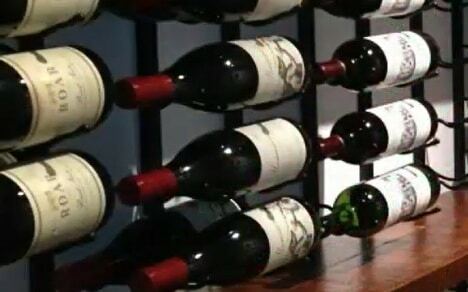 If you’re not careful about where you store your bottles, you could end up drinking sour wine. 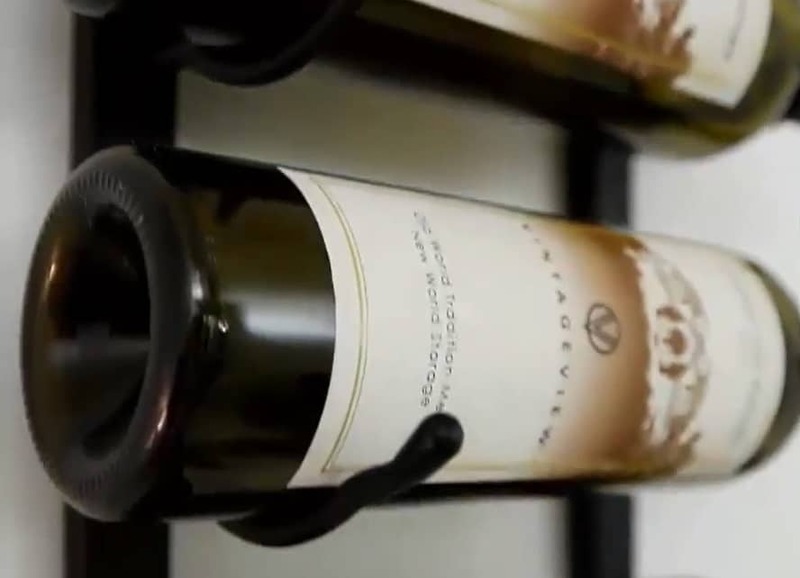 If you truly cherish your collection or if you’re a genuine wine enthusiast, you should invest in the construction of a storage structure that will keep your bottles safe from damage. 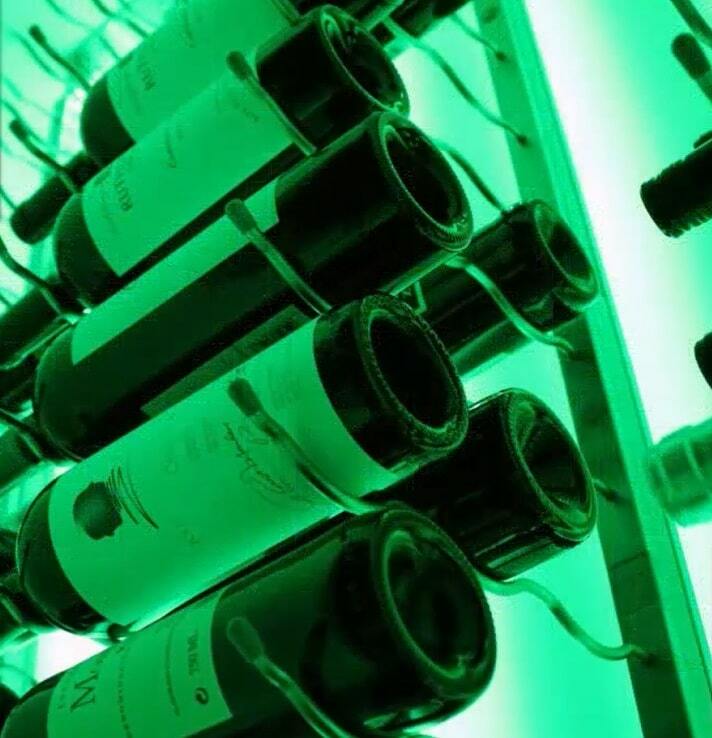 The most ideal place to keep wines is a cellar. For convenience, you’ve decided to have one built in your home. Now, the question is what would you like your wine room to look like? Our design specialists here at Custom Wine Cellars Chicago can help you choose the best style for your cellar. You can contact them today through +1 (773) 234-0112. Build beautiful modern wine rooms by installing Vintage View metal displays! The most popular cellar designs today are contemporary and modern minimalist. 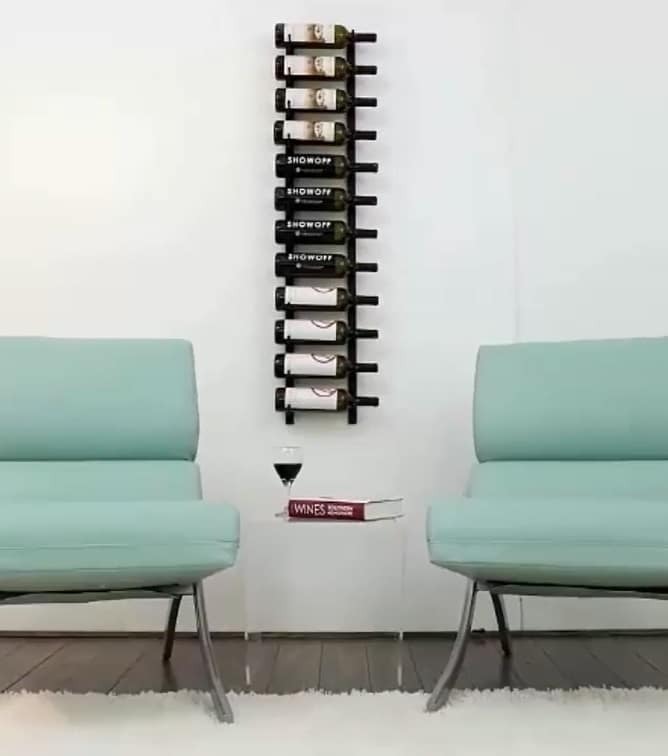 To help you achieve this trendy style for your wine storage space, you should have your contractor install metal racking systems, such as those from Vintage View Wine Racks. The Wall Series is a patented collection of posh metal wine racks from Vintage View Storage Solutions. Vintage View offers various collections of state-of-the-art metal racks for both residential and commercial installations. 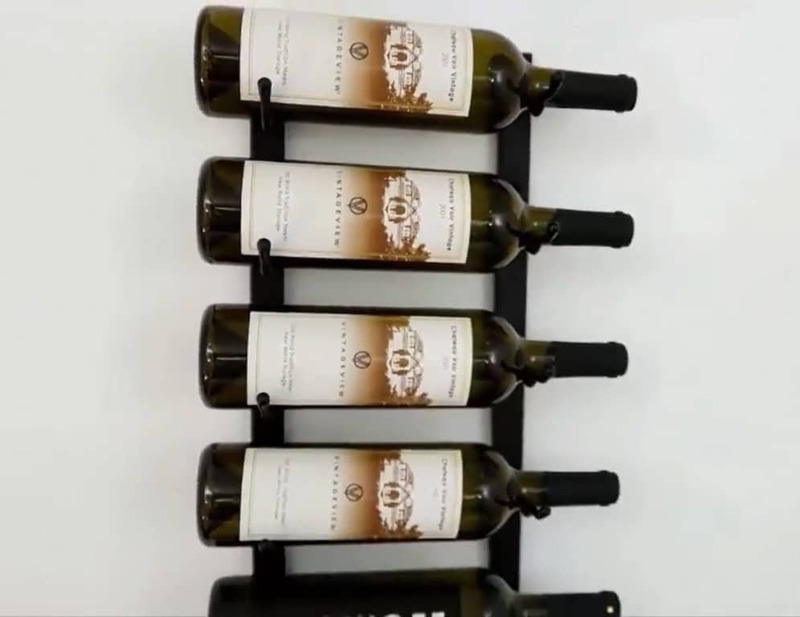 Their Wall Series is one of the most availed wine display systems. All of their racks are made from the most durable, commercial-grade steel. Have you ever experienced trying to find a specific wine from a stack of hundreds? 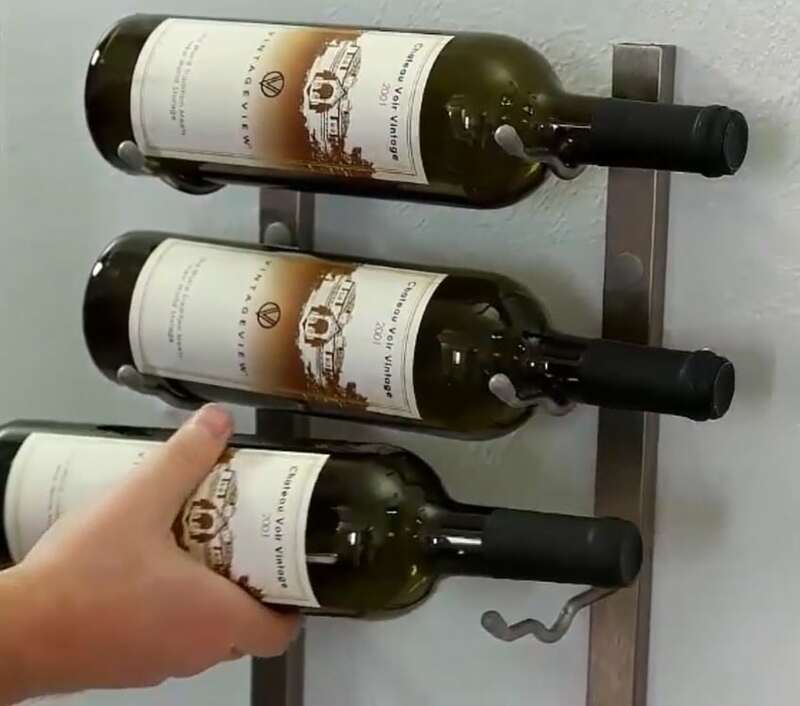 The patented wall-mounted metal racks all have label-forward designs, which means you will no longer be stressed out about finding your favorite bottles! You’ll easily identify the wine that you want at one glance. The Wall Series metal wine racks collection has options for all bottle sizes, including standard 750ml to magnum-sized wines. You can also customize the racks by choosing from the finish options available: satin black, black chrome, chrome plated, and brushed nickel. All of the metal racking systems from Vintage View are made from the sturdiest steel materials. Lay out at least 2 ¾ inches from the wall or any obstruction. Then, mark the location of the first strip. For the second strip, measure 7.5 inches from the centerline, and then mark it. If you plan to install multiple columns, make sure that you allow a minimum of 5.5 inches from the outside strip of one column to the inside strip of the next. Hold the strip against the wall. Make sure it is centered on the first mark at the right height. Once the rack is level, mark the location of the holes. If you’re installing through drywall, drill a pilot hole first. If you hit a stud, fasten the rack directly to the stud. For the top holes, drill a 13/32 inch hole for the toggle bolt. 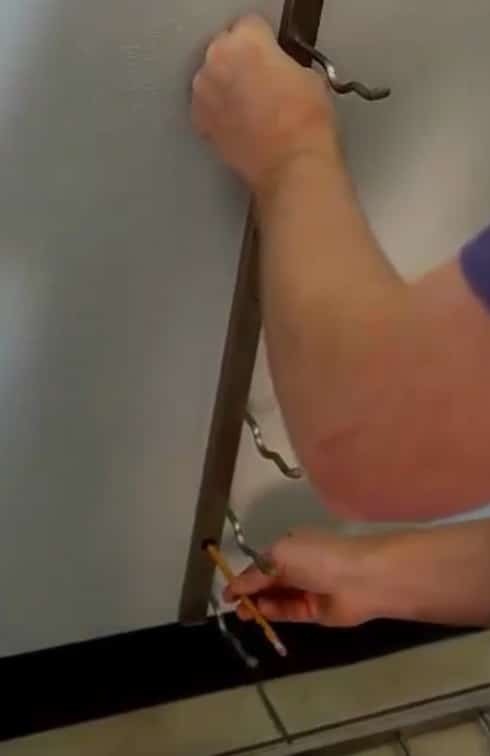 For the bottom holes, screw the spiral drywall anchors into the wall at the designated areas. In preparation for the first strip, remove the expanding nuts from the toggle bolts. Insert the bolts through the top mounting hole, and thread expanding nut-wings. Gently push the nuts through the 13/32 inch drill holes, and make sure their wings are fully expanded. 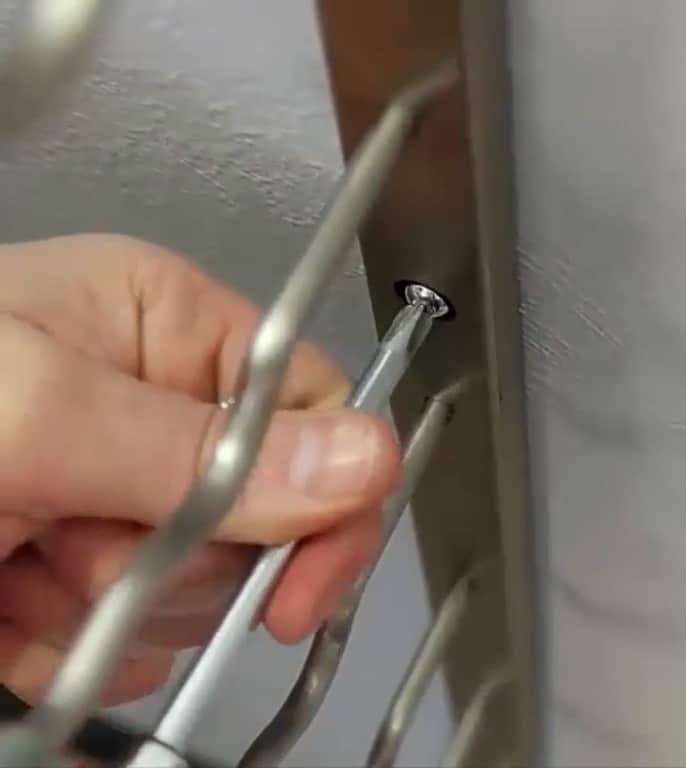 Tighten the bolts and make sure that the racks align with the bottom spiral anchors. Then, secure the rest of the strip using the bottom mounting screws. Tighten the toggle bolt completely. If you are stacking more than two racks, remove the end plug before installing. And if you are installing through a wooden wall, screw directly into all marked holes. Simply do the fourth step with the second strip. Make sure that it is centered with the mark on the wall, so that the tops of the strips are parallel. 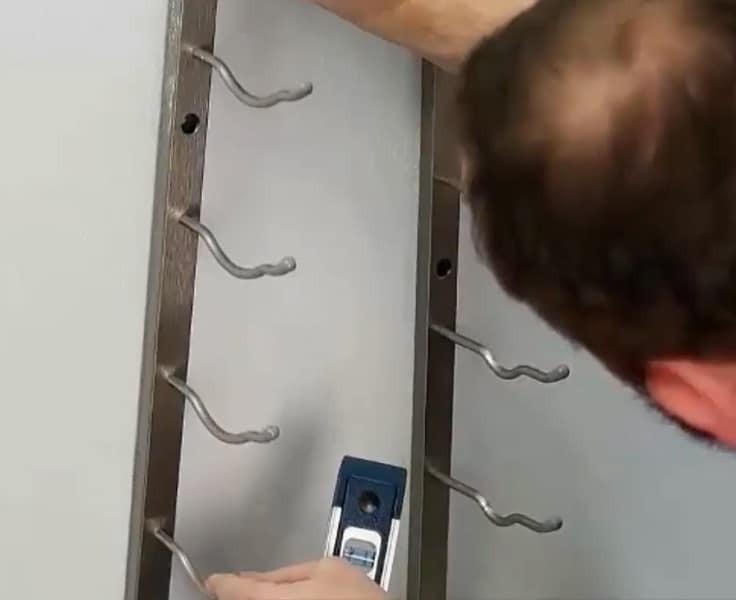 After hanging the strips, install the mounting hole caps. 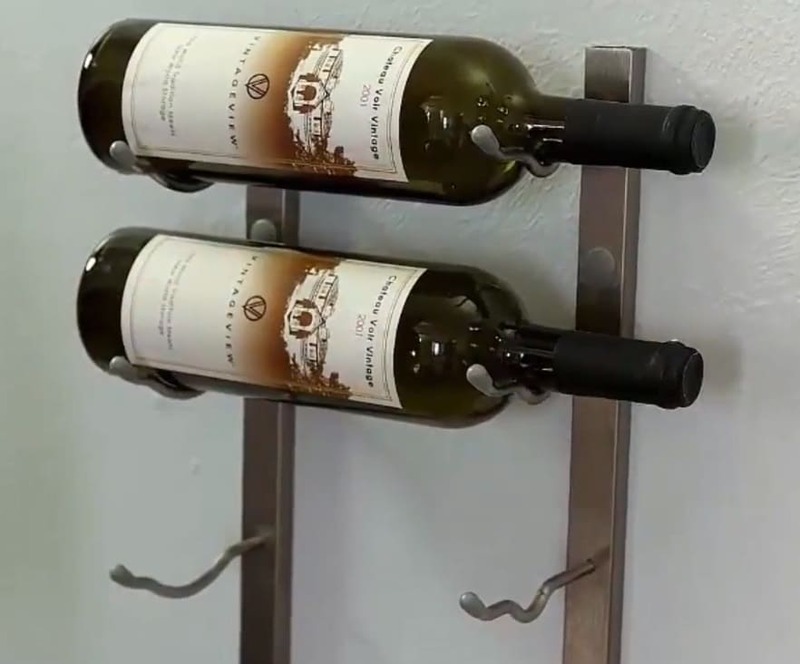 Then, start stacking the Wall Series metal wine racks by replacing the end plug with the couplers. After this, your display is ready and you can start adding bottles. Get an Up-to-Date Design for Your Wine Cellar by Consulting an Expert! We, at Custom Wine Cellars Chicago, have years of experience up our sleeve. We have designed and built all kinds of wine rooms, from traditional to modern style. Get the latest trends in wine cellar design by consulting one of our specialists! You may send us an email through designs@customwinecellarschicago.com! We’re just as excited as you are. Let’s talk about your dream wine room today!